Jesus Garces quickly rose up the Phillies ladder in his first two pro seasons and he did it at a young age. He started at rookie Princeton in 1990 at the age of 17. He largely played the next year at short-season, but he also saw brief time at high-A Clearwater - and at AAA Scranton, the doorstep of the majors. Garces, at the age of 18, proved to be the youngest player to hit Scranton for the next 20 years. He never made that next step to the bigs at any age. He played three seasons. Garces, however, has stayed with the game. He's served as a scout and coach in his native Venezuela and he's serving in 2017 as a manager in the rookie Gulf Coast League. 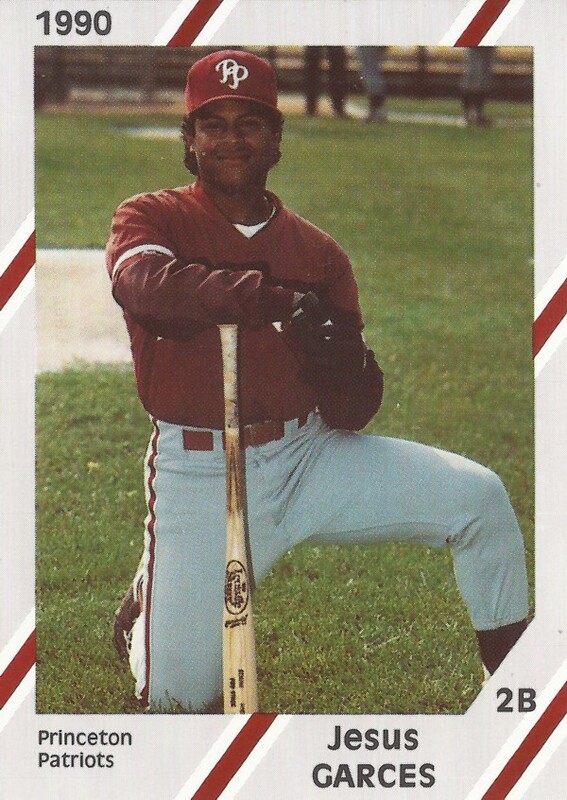 Garces' career began in 1990, signed by the Phillies as an amateur free agent out of Venezuela. Garces' brother is Rich Garces, who played a decade in the majors. Jesus Garces start at Princeton saw him hit just .149 over 49 games. He scored in a July game and suffered a late-season injury in an August game. 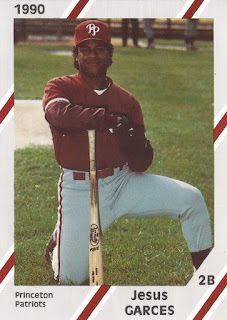 He then played 1991 between short-season Batavia, Clearwater and Scranton. In 55 games at Batavia, he hit .251, with 19 RBI. He then went 1 for 10 at Clearwater and 1 for 8 in three games at Scranton. Garces played at single-A Spartanburg in 1992, but got into just 12 games, marking the end of his career. By 1999, he was back in baseball, working with the Marlins with the team's Venezuelan academy. He stayed there three years before moving to the Red Sox and their academy for 2002. He then arrived with the Tigers in 2006 and continues with the organization in 2017. He served with the Tigers as a Venezuelan scout and then as a coach for their summer league team there. For 2017, he's serving as manager for the Tigers' Gulf Coast League East team.